BHC recognizes that housing alone is not enough to ensure the health of our families and residents. There are many families and individuals with very special circumstances that that require even more specialized forms of support. Starting in 2007, BHC began to address the housing needs of these special families and individuals. By partnering with Family Service Agency of Burbank and New Directions for Veterans (NDVets), BHC is able to ensure that our residents receive compatible and consistent support that will improve their quality of life. Today, BHC, in partnership with the Family Service Agency (FSA) and the City of Burbank, owns and operates three transitional housing programs. Residents are identified, assessed and placed in these programs by FSA. Once housed, the residents will remain in these affordable homes for up to two years while they work to prepare themselves for independent living. After their two-year program with Family Service Agency, residents who qualify may apply to transfer to BHC’s affordable housing program. Family Service Agency of Burbank maintains its own waiting list and criteria for their three transitional housing programs. If you have questions about these transitional housing programs, please contact FSA directly. 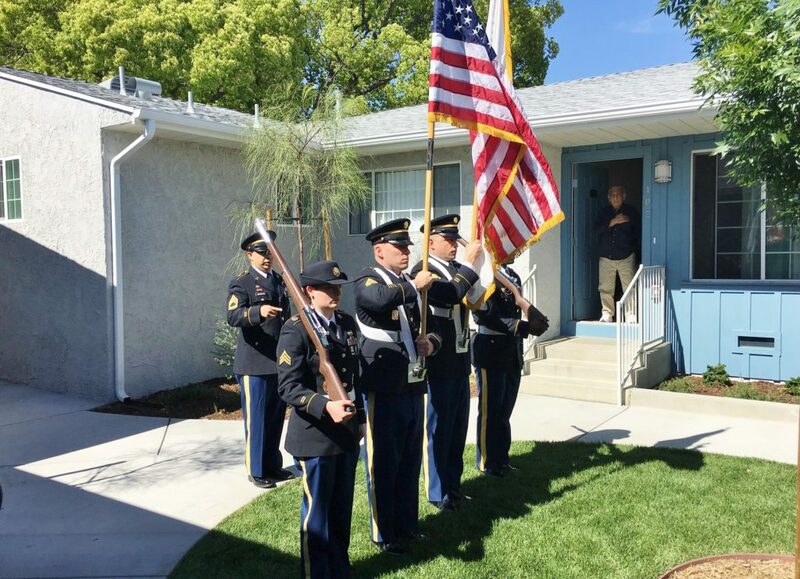 Our newly completed project is the Burbank Veteran Bungalows, an 11-unit property that provides permanent supportive housing for former homeless veterans. By working in tandem with New Directions for Veterans (NDVets), BHC was able to house homeless veterans and also present valuable resources that will lead them to achieve a productive and self-sufficient future. NDVets provides comprehensive services for veterans, which include job assistance and training, substance abuse treatment, mental health and family services, and temporary and permanent supportive housing. Knowing that our future tenants would have little to no furniture or home goods, Burbank Housing Corporation created the Adopt-A-Vet’s Home program during the rehab stage of the project. 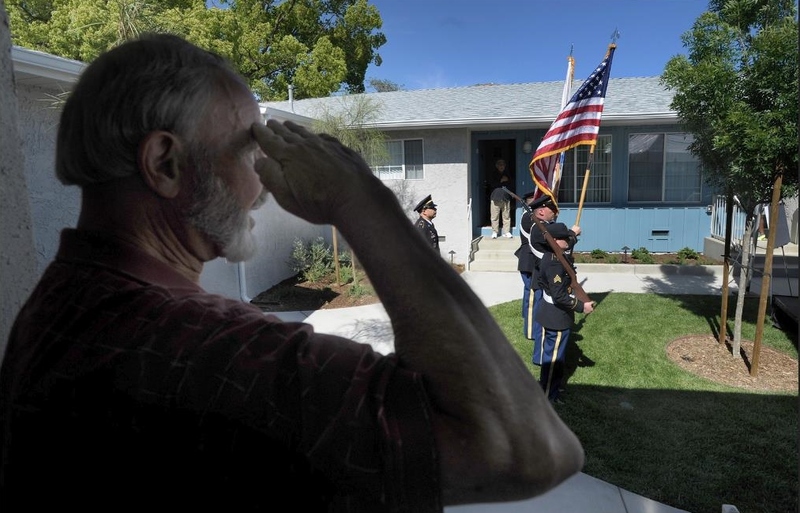 The Adopt-A-Vet’s Home program sought to fully furnish the Burbank Bungalows through private monetary or item donations. Over 50 volunteers from the Burbank community came together for our volunteer weekend and committed their time and energy to assembling furniture and making each unit feel like home for our future residents. With the support and charitable donations of the Burbank community, BHC was able to fully furnish all 11 units by the grand opening of the Burbank Bungalows. The success of the Adopt-A-Vet’s Home program can be attributed to the dedication and generosity of Burbank community members and their organizations. 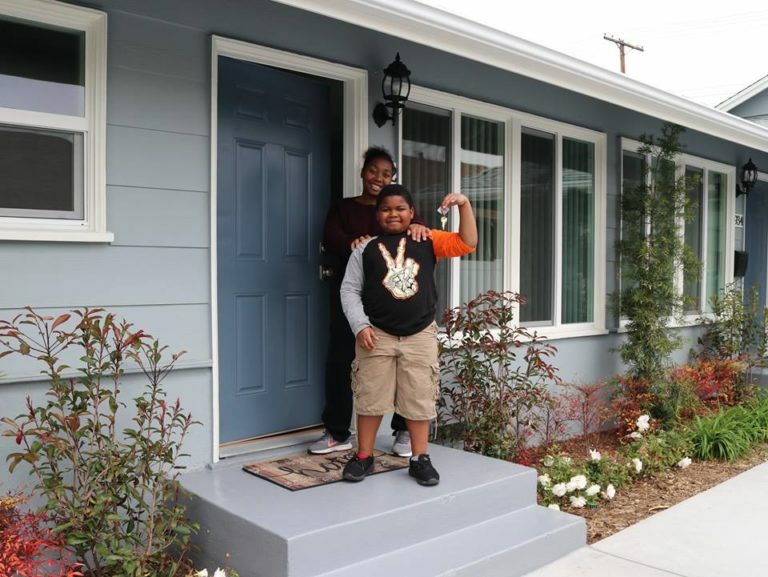 In February 2019, Burbank Housing Corporation (BHC), Family Promise of the Verdugos (FPV), and the City of Burbank completed the rehabilitation of a three-unit property, Jerry’s Promise. Named in loving memory of our long-time board member Dr. Jerry Jones, Jerry’s Promise provides transitional housing to homeless families in the FPV Shelter Program. With the support of volunteers, donors, and partners, Burbank Housing Corporation and Family Promise of the Verdugos was able to move in three formerly homeless families into a fully furnished unit with a stocked pantry. These families will not only have a safe and affordable place to live, but they will also receive supportive services through Family Promise of the Verdugos! Family Promise will provide case management to assist our residents in finding employment, securing long-term housing, meeting other household needs. We hope this is just the beginning of their prosperous and amazing future!